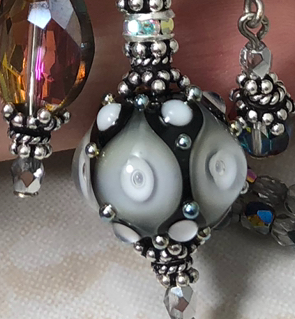 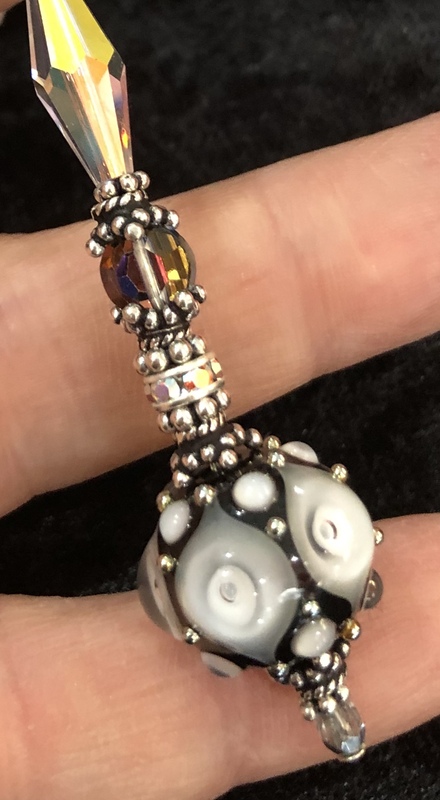 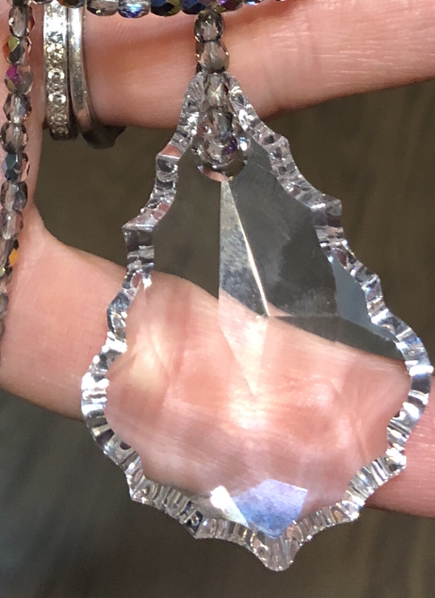 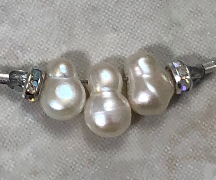 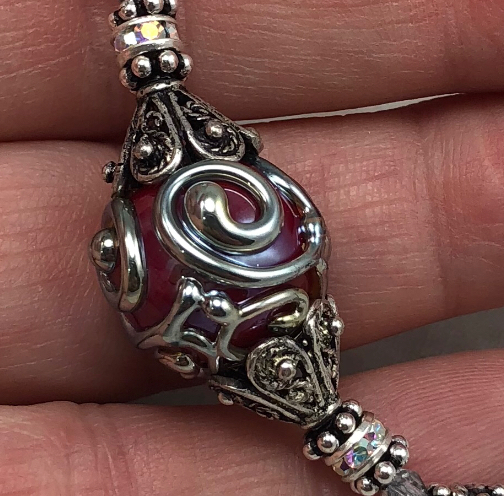 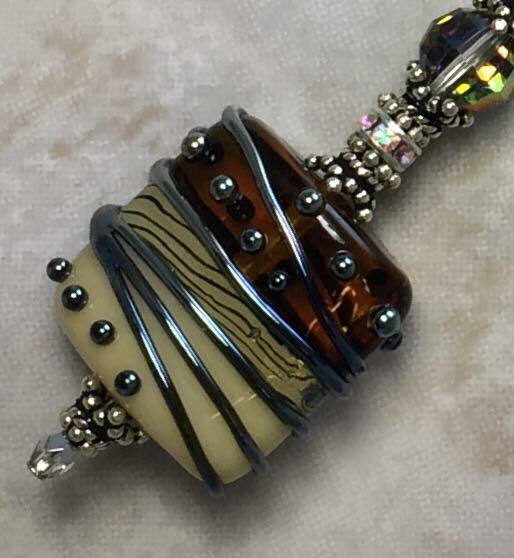 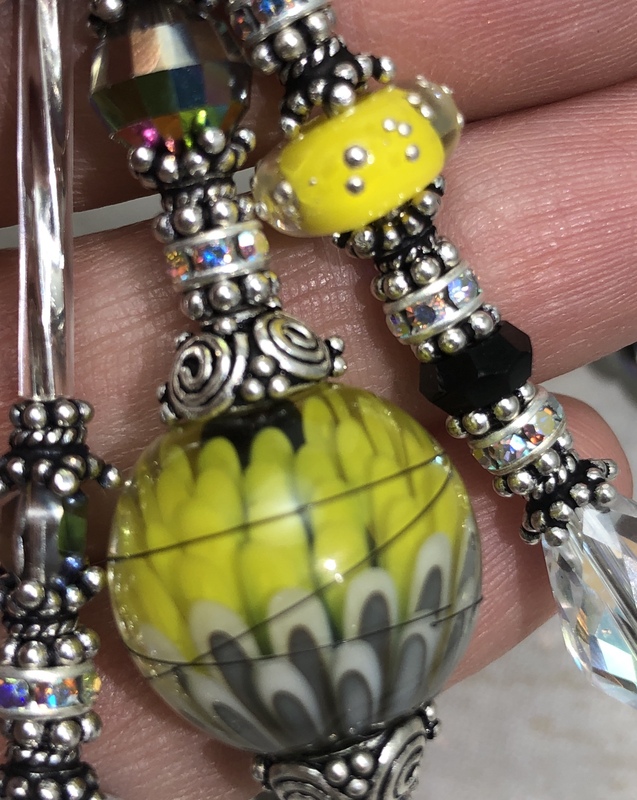 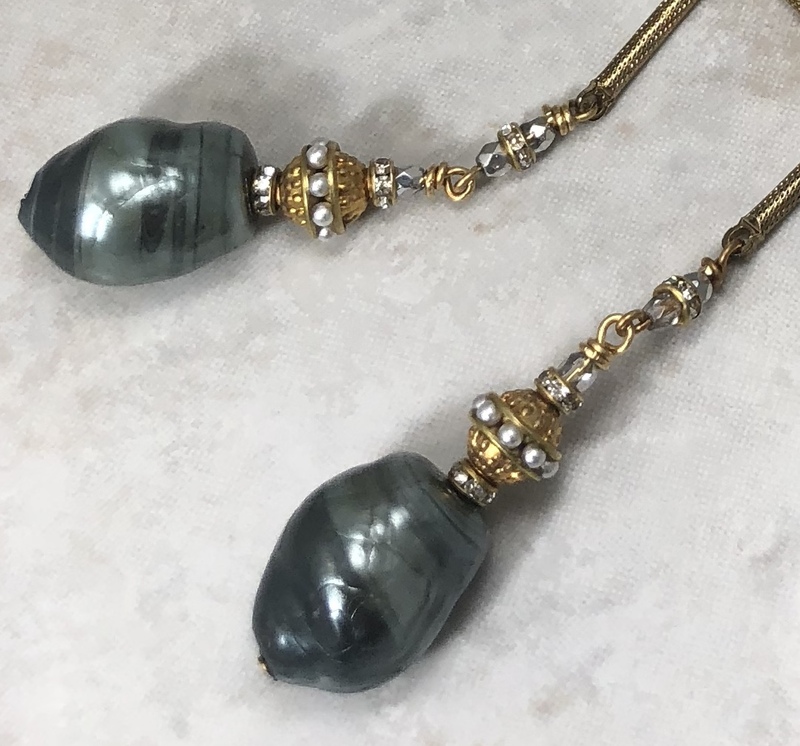 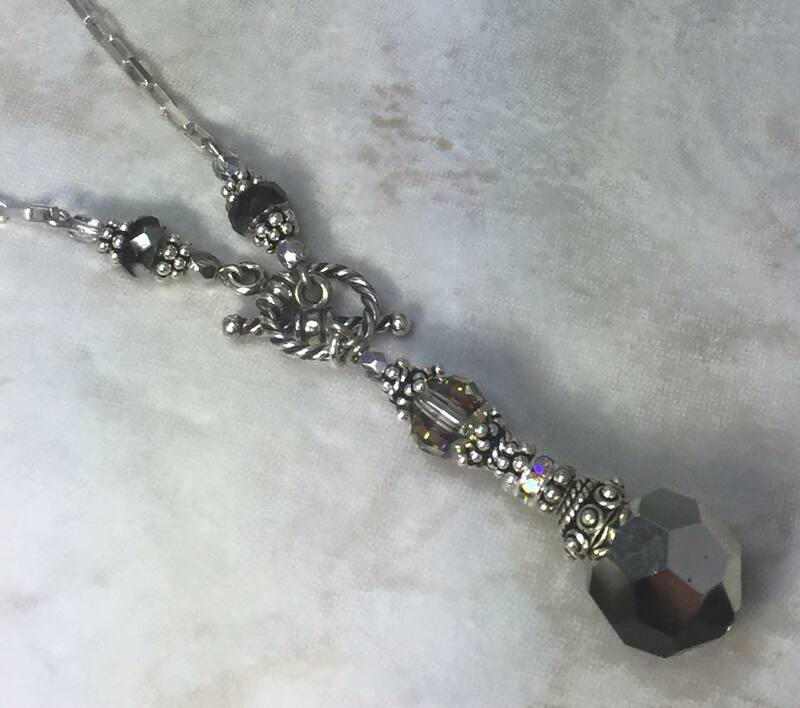 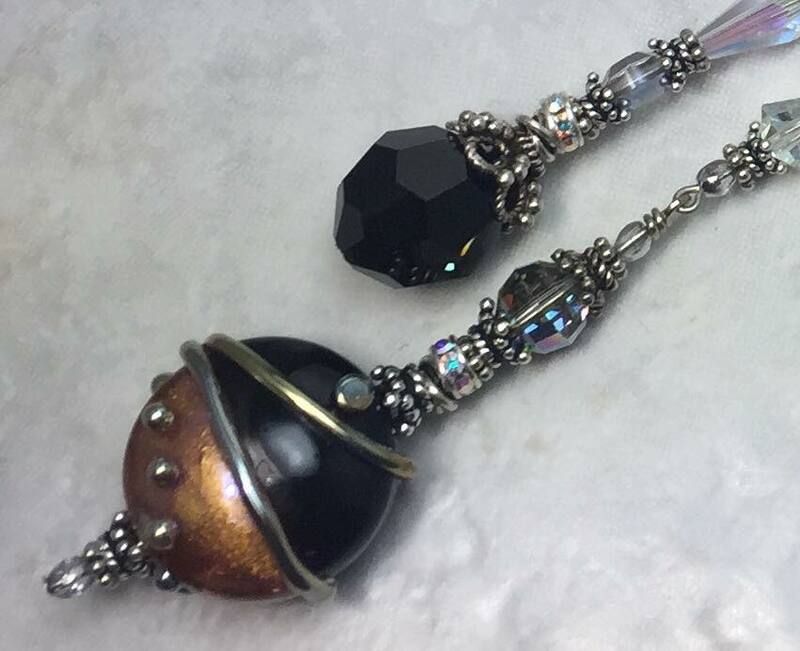 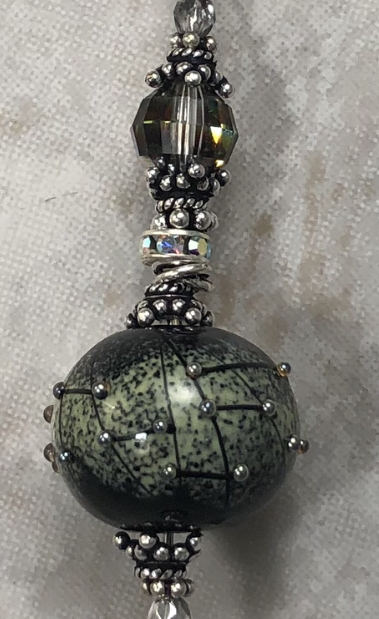 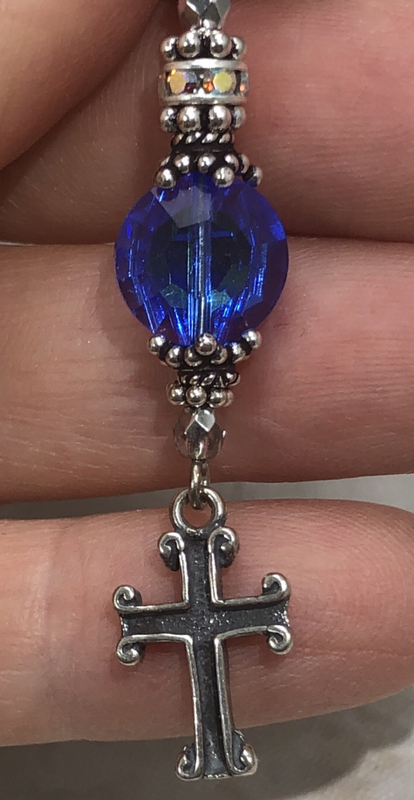 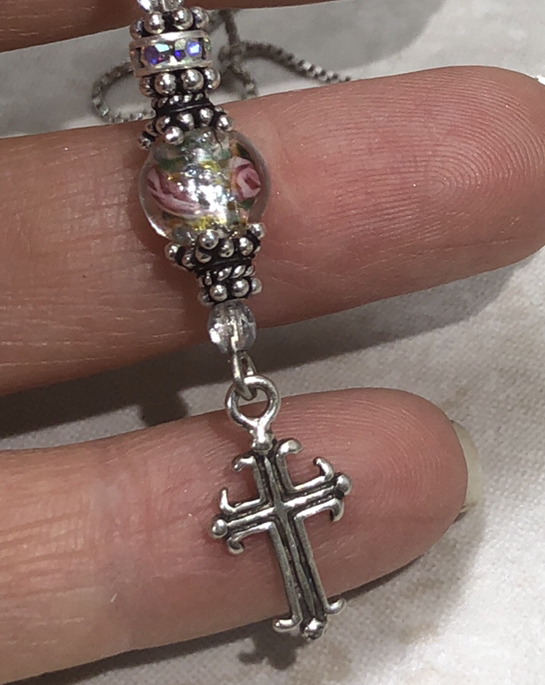 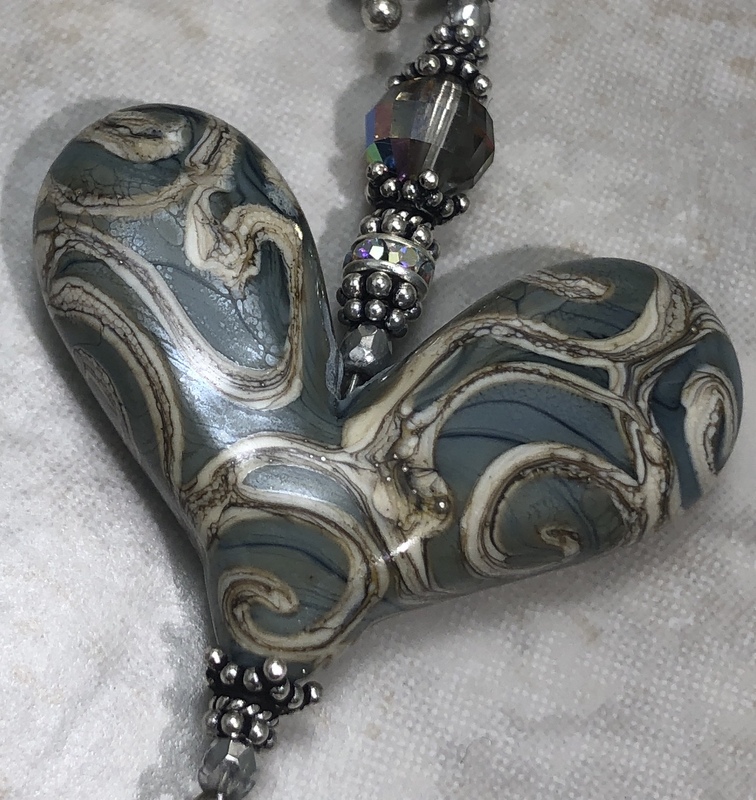 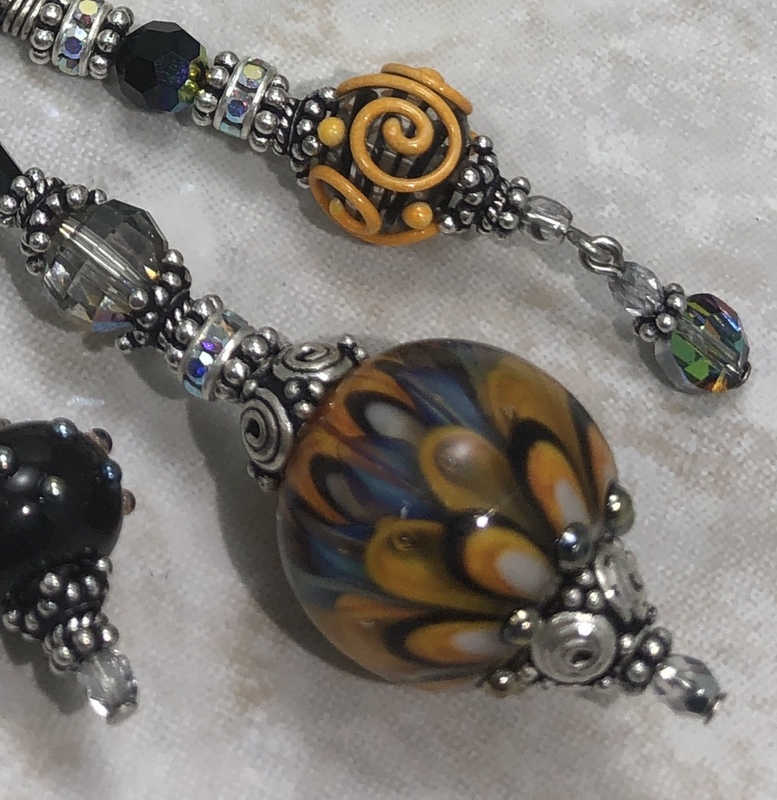 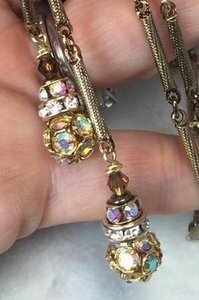 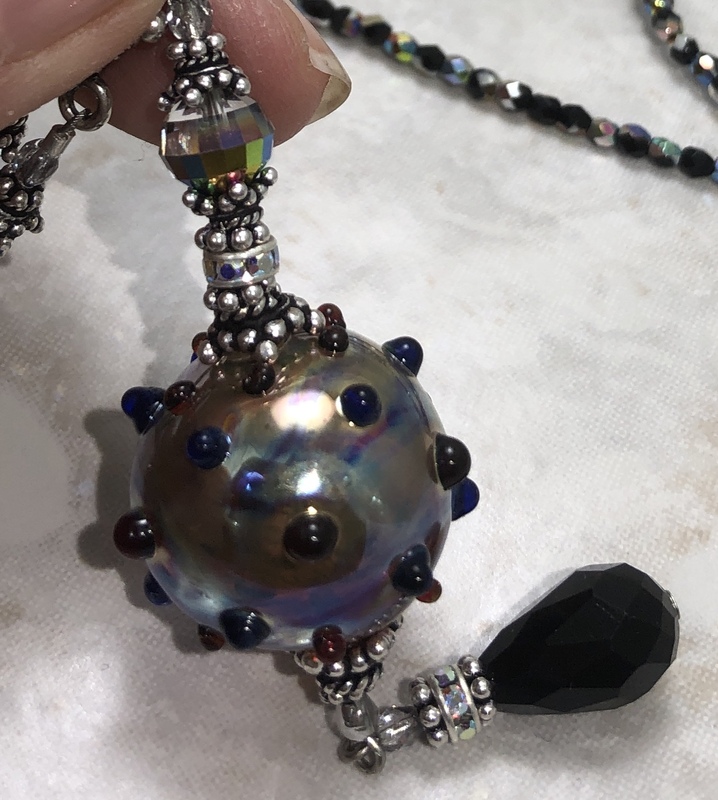 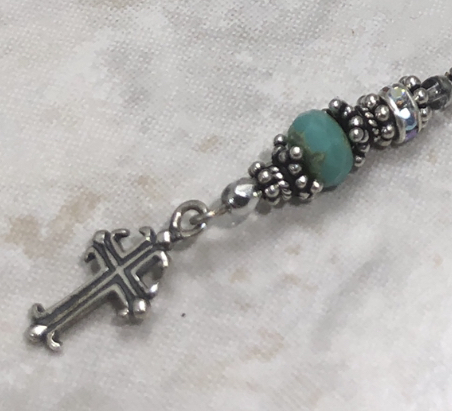 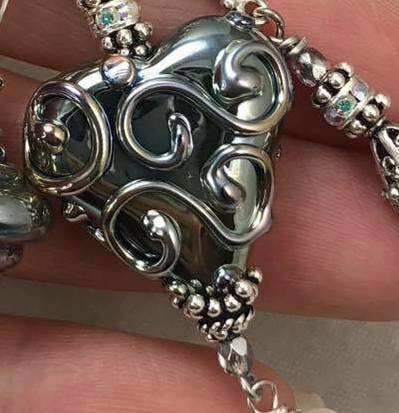 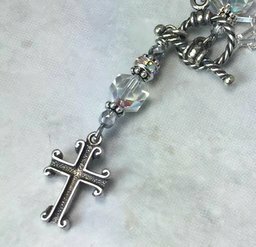 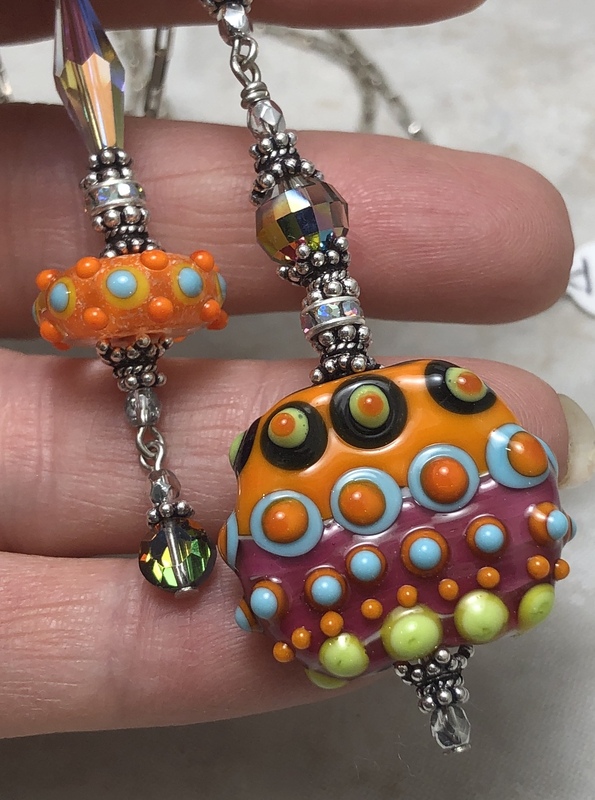 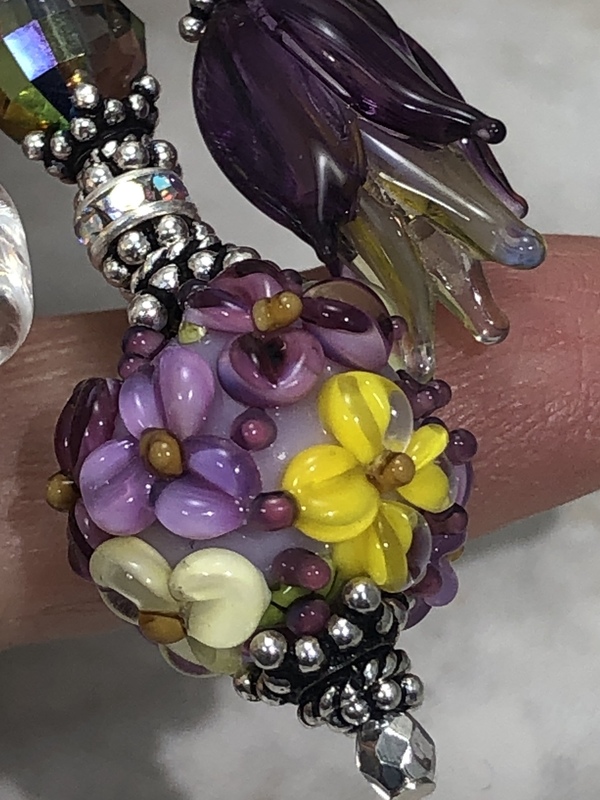 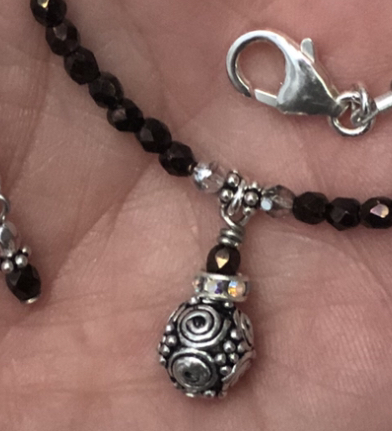 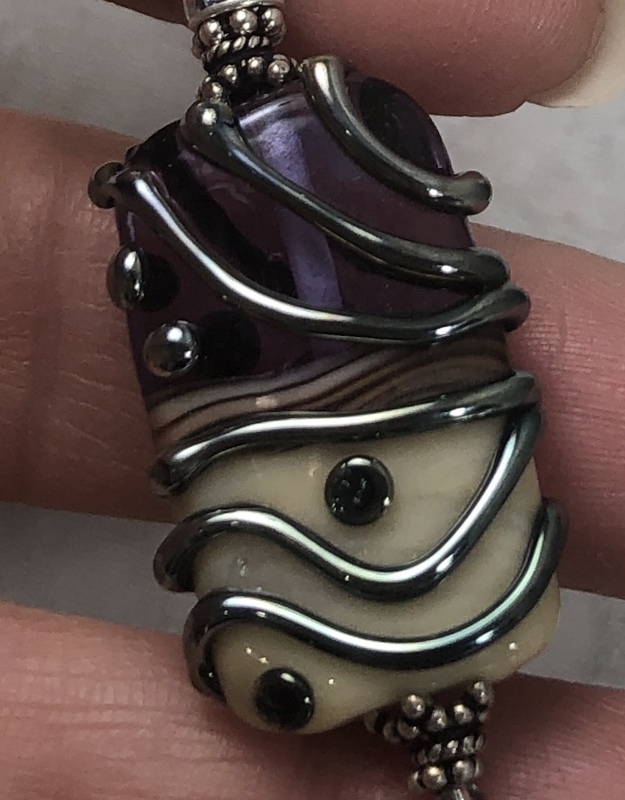 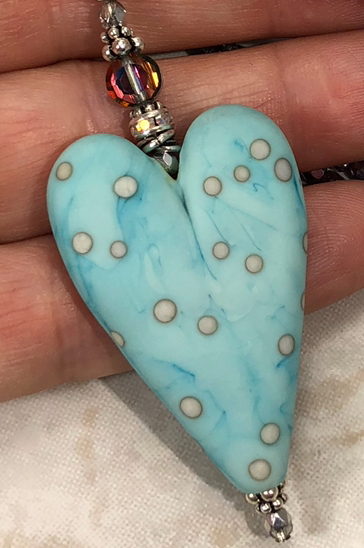 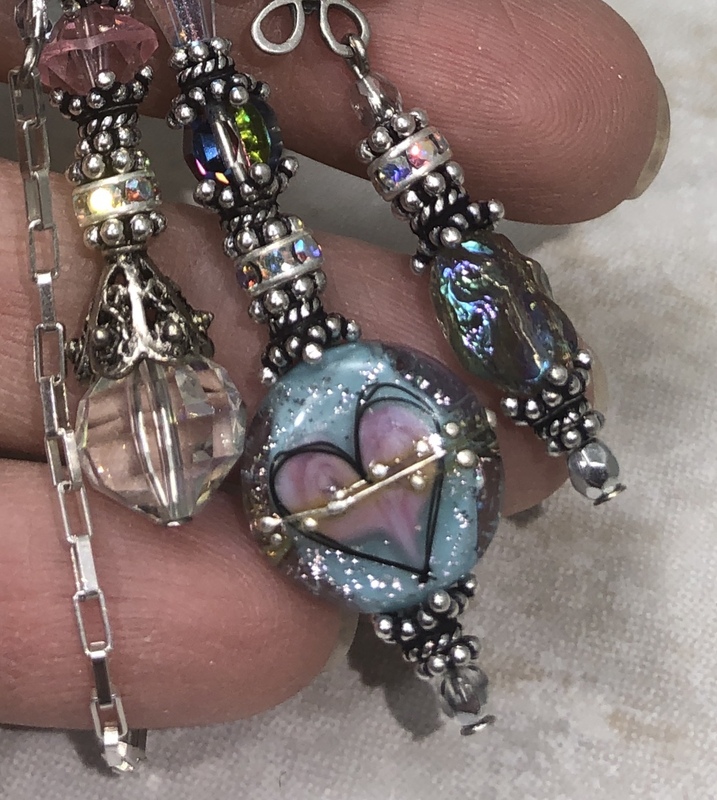 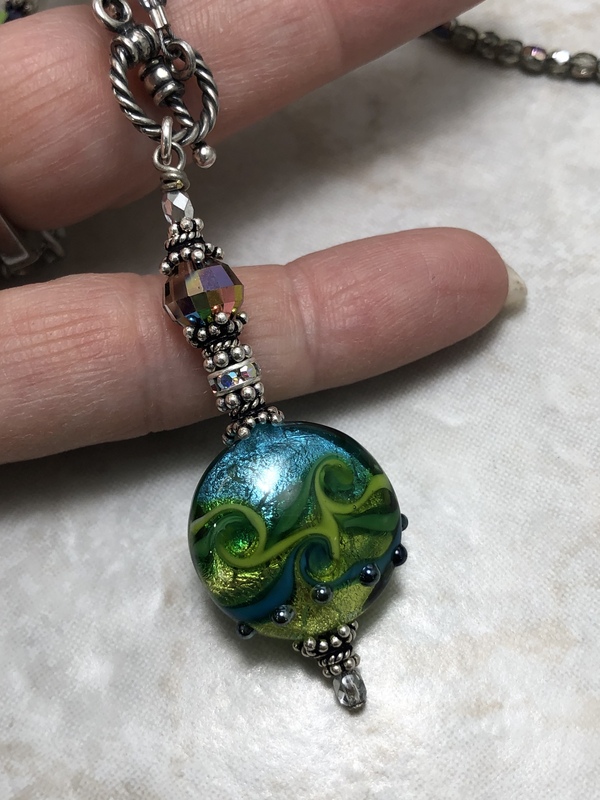 Rare, vintage Swarovski crystals; artisan lampwork glass from around the world; and an outstanding selection of unique findings and vintage glass pearls and chains comprise the collection of creatively designed necklaces you will find here. 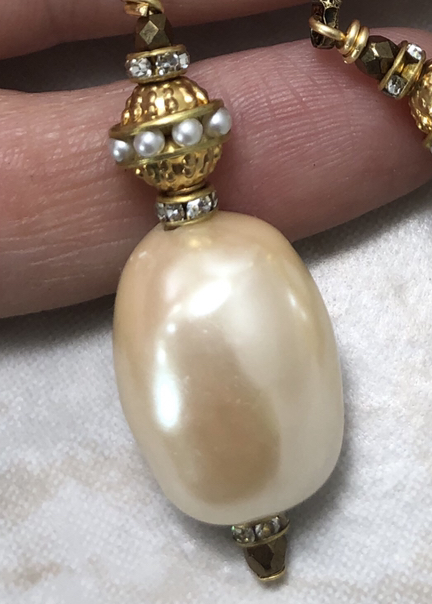 Select a miniature piece of art to wear, a necklace to treasure, or delight someone with a special gift! 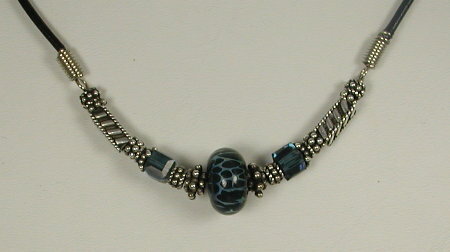 A Piece of Spectacular Art for Around Your Neck! 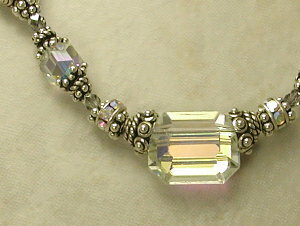 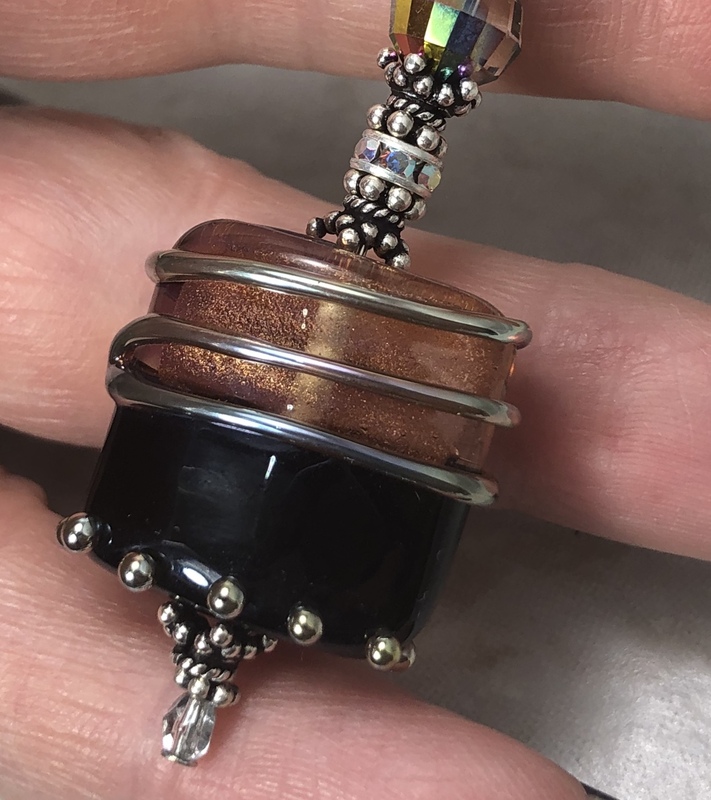 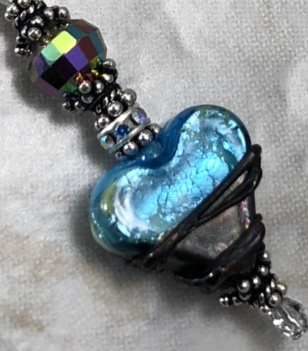 Bright Dichroic Rainbows and Sparkle Artisan Necklace!